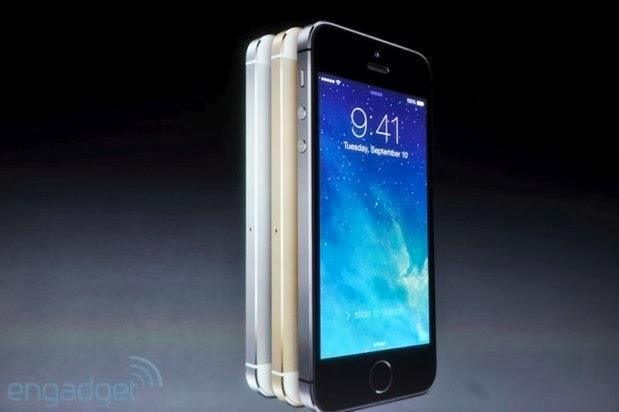 Apple has just taken the wraps of it's newest iPhone, the iPhone 5S. The iPhone 5S carries on the same design introduced by the IPhone 4. 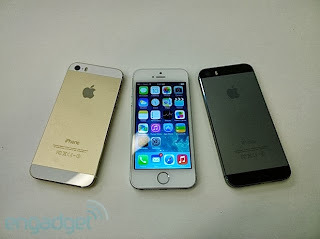 The IPhone 5S has an improved camera with larger sensors which allows it to capture better photos from the 8MP camera and a host of features like a burst mode capable of capable 10 photos in one second, a slow-motion video mode (which can capture HD videos at 120fps), automatic photo correction. The iPhone would be powered by Apple's new 64bit A7 processor which makes the iPhone 5S two times more faster than the iPhone 5 and it is also more power efficient than the IPhone 5. In addition to the new A7 processor, the iPhone 5S also has a M7 chip which monitors your movement and can tell apps of you are moving, standing or lying down. For added security, the iPhone 5S comes with a built-in finger print scanner in the home button and would ensure that only you can have access to your iPhone and would eliminate the need to enter passcodes and passwords altogether.